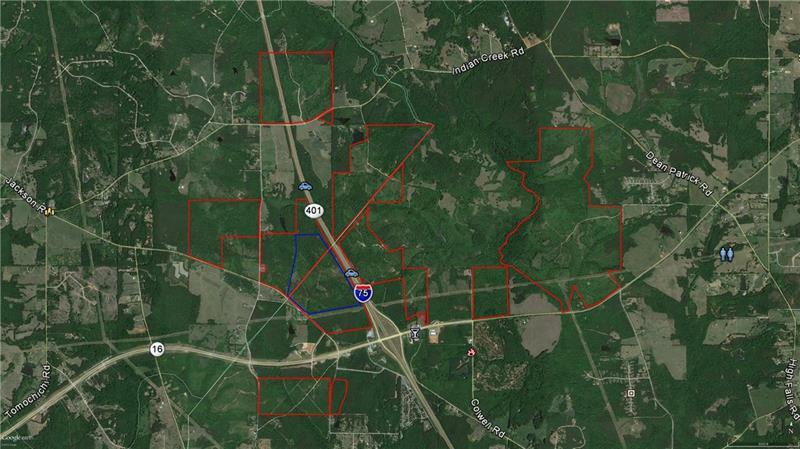 This opportunity consists of 1,549 acres located in both Spalding and Butts Counties. The properties are located on the east and west side of I-75 at the Highway 16 interchange. The properties are approximately 36 miles from Atlanta, 43 miles from Macon and 215 miles from the Savannah Ports. On May 6, 2016 Dollar General purchased 208 acres of the subject property fronting on Jackson Road and I-75. Dollar General will be building a 1,000,000 sq. distribution facility. Listing provided courtesy of Major Properties Inc.